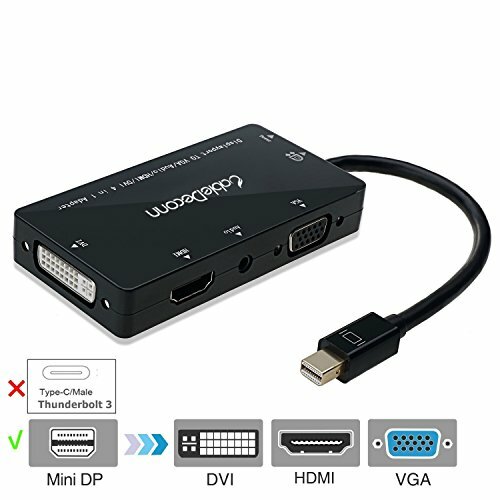 - Only convert signal from Mini Display Port to HDMI/DVI/VGA Audio. This is not a bi-directional adapter. -Support three monitors at the same time, the three display is the same.That to say this 4 in1 adapter don't support active your monitor with three different display, only support connect and configure your monitor for an Extended Desktop or Mirrored Displays with the same display. Transmit both audio and video from computer or tablet to HD TV via HDMI. Support video resolutions up to 1920x1080p (Full HD) and flawless audio pass-thru. Support audio output via DVI or VGA with connecting Audio interface external speaker needed for voice. When connect to monitors , all ports need a speaker to get audio out.